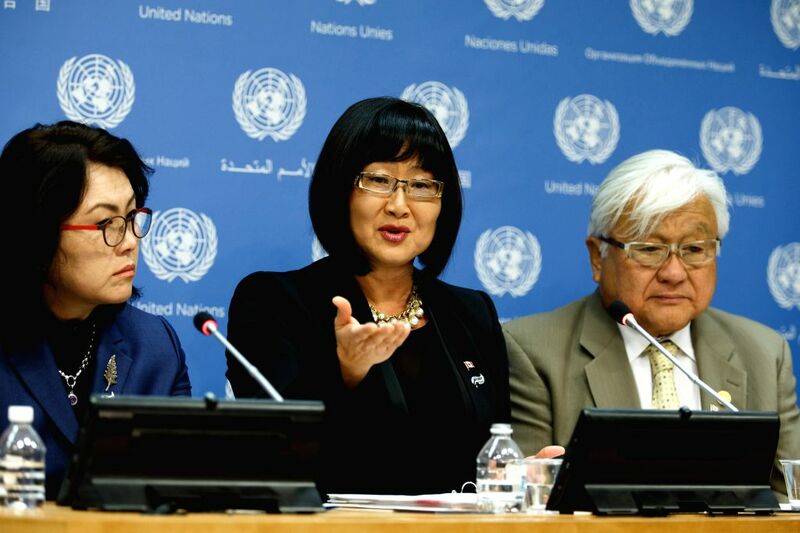 NEW YORK, Nov. 23, 2015 - Canadian Senator Yonah Martin (C) speaks during a press briefing by the Permanent Mission of the Republic of Korea on the official launch of the International Parliamentary Coalition for Victims of Sexual Slavery (IPCVSS) at the United Nations headquarters in New York, Nov. 23, 2015. Recognizing the historic harm caused to comfort women in the Second World War could help provide a precedent to understand and address modern day equivalents, a newly formed international coalition of parliamentarians against sexual slavery said here Monday. 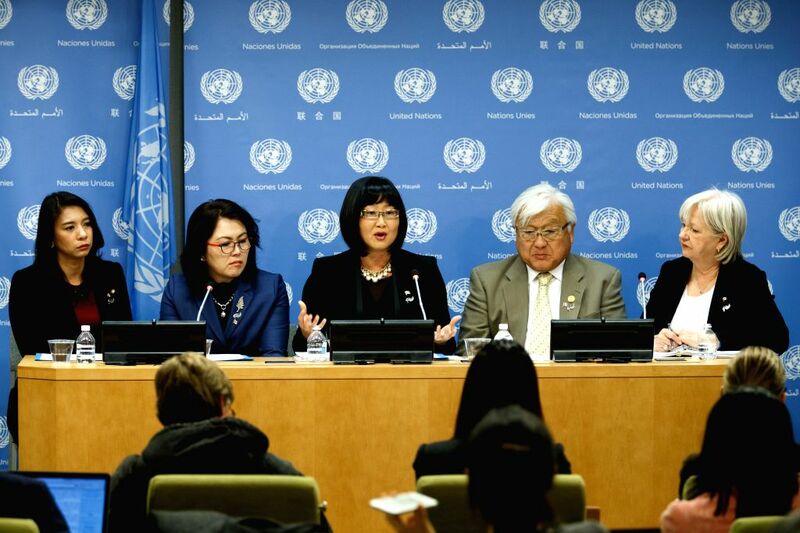 Photo taken on Nov. 23, 2015 shows a press briefing by the Permanent Mission of the Republic of Korea on the official launch of the International Parliamentary Coalition for Victims of Sexual Slavery (IPCVSS) attended by (L to R) Jasmine Lee, Member of the National Assembly, Republic of Korea, Melissa Lee, Member of Parliament, New Zealand, Yonah Martin, Senator, Canada, Michael Honda, Representative, U.S., and Joy Smith, Chair of Advisory Council, Canada.